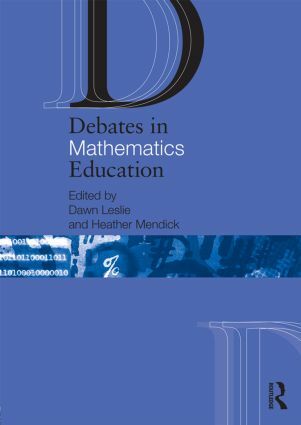 Debates in Mathematics Education explores the major issues that mathematics teachers encounter in their daily lives. It engages with established and contemporary debates, promotes and supports critical reflection and aims to stimulate both novice and experienced teachers to reach informed judgements and argue their point of view with deeper theoretical knowledge and understanding. The fitness of formal examinations. Designed to stimulate discussion and support you in your own research, writing and practice, Debates in Mathematics Education will be a valuable resource for any student or practising teacher engaged in initial teacher training, continuing professional development or Masters level study. It also has much to offer to those leading initial teacher education programmes, and to beginning doctoral students looking for a survey of the field of mathematics education research. Mental maths: Just about what we do in our heads? Should ‘teaching for understanding’ be the pinnacle of mathematics education? Mathematical literacy: What is it? And is it important?